I spent the first semester of my junior year at The University of Georgia as an exchange student at Sydney University in Australia. 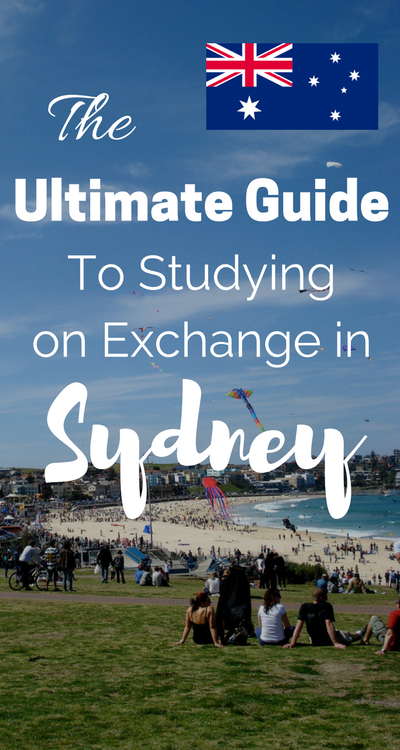 I have had a few prospective exchange students contact me to ask me questions about my Sydney Uni exchange experience so I figured I would address some of the most common ones publicly. 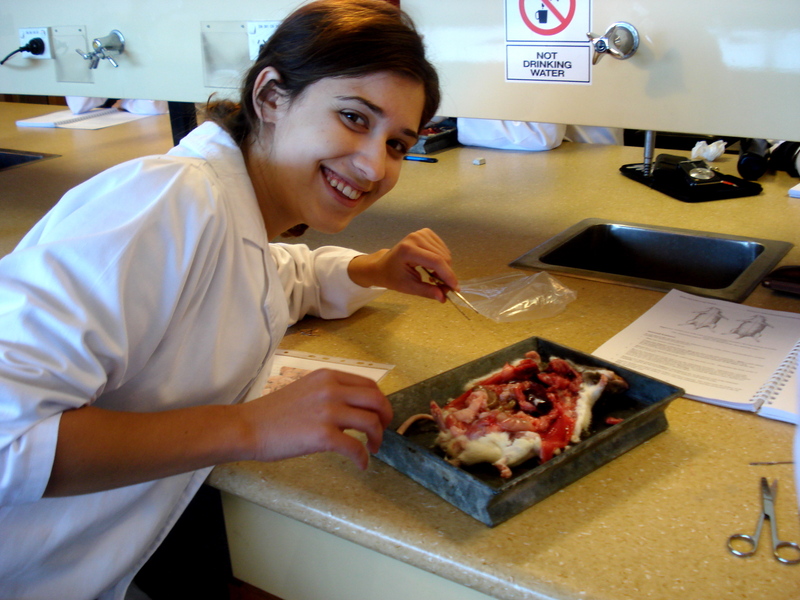 What’s the difference between studying abroad and being an exchange student? There is indeed a difference between “going on exchange” and “studying abroad”, at least at UGA. “Studying abroad” connotes traveling to a foreign country amongst students and professors from your home university. You take classes for credit through your university and generally the program is designed for students with specific majors. There is a semi-inclusive price for the whole thing which may include weekend trips and tours with your fellow study abroad friends or certain meals or types of accommodation. “Going on exchange,” however, means you apply and are accepted for exchange to a foreign university, whereupon you take classes amongst fellow exchange students from all over the world in addition to students from the university itself. Your professors are from the foreign university and your credits come in as pass/fail transfer credits. Some schools’ exchange programs are limited by major but usually you have a wide variety of classes from which to choose, including both electives and classes that can serve as major requirements. An exchange may mean you arrange your own accommodations, extracurricular activities, weekend trips, and internship or job opportunities. Exchange can cost less if you plan it that way, but it comes at the extra price of excessive bureaucratic hoop-jumping. There is more freedom to make your experience abroad unique to your desires and expectations but with that you sacrifice the security of paying a flat fee and letting someone else decide what your life abroad is going to be like. I feel going on exchange offers you the opportunity to truly immerse yourself in another culture. By this point, I’m sure it’s obvious that I’m biased towards exchange programs. I think study abroad trips are right for some people though: if you (1) do not want to have to think about planning anything, (2) have money to throw down, and/or (3) have friends you want to travel with, then study abroad should satisfy your desires. If you (1) are a conscientious person with the motivation to go through the paperwork and (2) want a more immersive experience where you have both more options and more control, then I highly recommend an exchange program. I’m headed to Sydney Uni on exchange. What should I do about housing?? It depends where you want to live! Sydney Uni does offer some on-campus housing options but they are not dorms in the traditional sense and they are very very expensive (probably $1000 or more a month). Also, the students living in them are mostly foreign (read: American) so you won’t exactly be immersed in native culture if you live there. However, if you don’t want to have to stress about housing when you arrive, signing up for on-campus housing before you go is an easy way out. 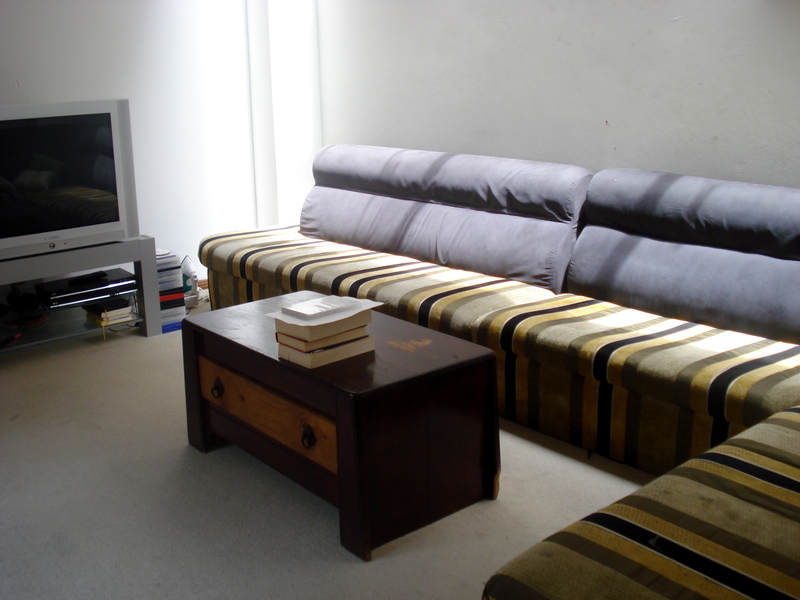 Anyways, during my first two weeks, I utilized all the resources I could find to seek out rooms for rent in the suburbs near Sydney Uni. 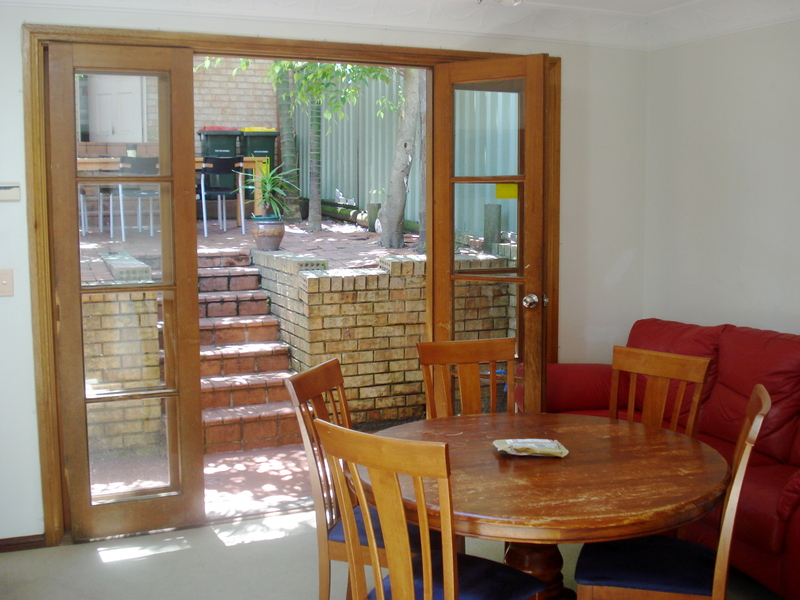 I used websites like flatmatefinders.com.au and gumtree.com.au to find places and set up what they call “inspections” which is basically a house visit – you get to see where you would stay and who you would stay with, etc. 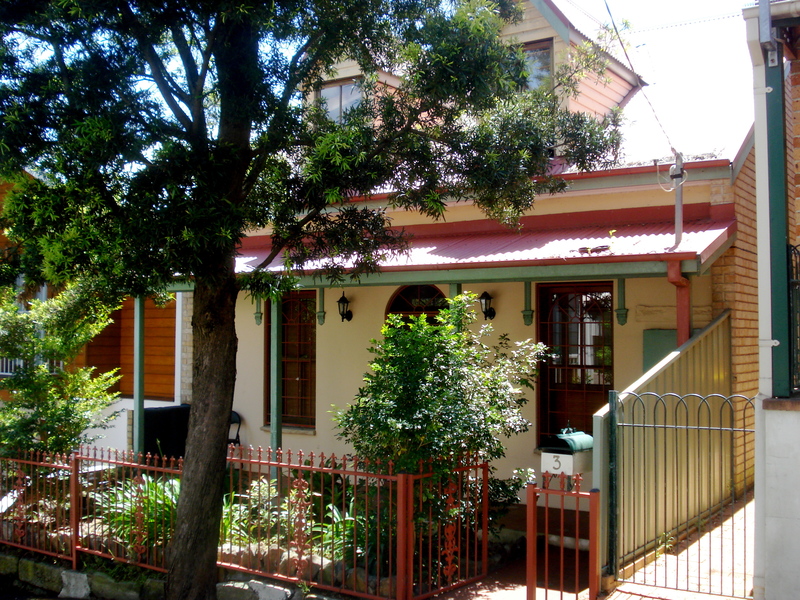 To cut to the chase, I ended up living in an international sharehouse in Forest Lodge: the smaller, quainter side of the hip suburb of Glebe. I made sure it was within walking distance to Sydney Uni. I chose to share a room because it’s cheaper that way. I think I paid about AUD$620/month (they do it by week there so it’s hard to remember) which is no small fee but actually considered quite cheap, especially for what I was getting – which was 10 amazing international housemates (from Aus, Germany, Korea, France, Poland…), a clean house with reasonable house rules, fridge, washer, furnished room, shared bathroom, etc. Some of my friends chose to live in single rooms and ended up paying a lot more than me. And some found single rooms for a similar price but their houses were not as nice. The exterior of our lovely home on Creek St.
Our living room – home to many a karaoke night and potluck dinner gathering. How long did you stay in Sydney? Do you wish you’d stayed longer? I was there for almost exactly 5 months (July-Dec 2010). I would have loved to stay longer but I didn’t plan for it class-wise and it’s not the kind of decision you can make last minute. If I had stayed longer I would have needed a more reliable source of income to support myself since Sydney is so expensive. You also have to consider that most of the exchange friends you make are going to be leaving after a semester and you will have to go make new ones. I think the perfect situation would have been if I had planned to go on exchange in another country directly afterwards. That would have been amazing (but expensive)! During the inspection of the house on Creek Street I had the opportunity to meet some of my potential future housemates. The house manager, Colin, sat down with me told me about the rules and culture of the house. I came by to meet my potential future roommate (the girl actually sharing the room with me) before signing anything and it turned out she was the most loveliest girl I could have ever possibly imagined (Clothilde, how I miss you!!). But hey, I got lucky. If you’re sharing a room with someone you should definitely be sure to meet them first and make sure you can tolerate each other. 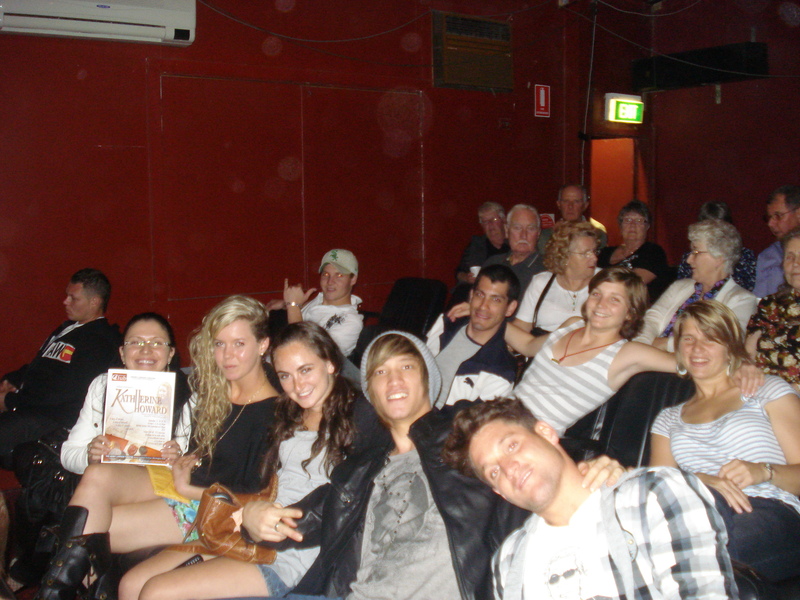 One of many group outings to see one of our housemates, Sarah, star in a play. Enjoying a potluck dinner on our backyard porch. 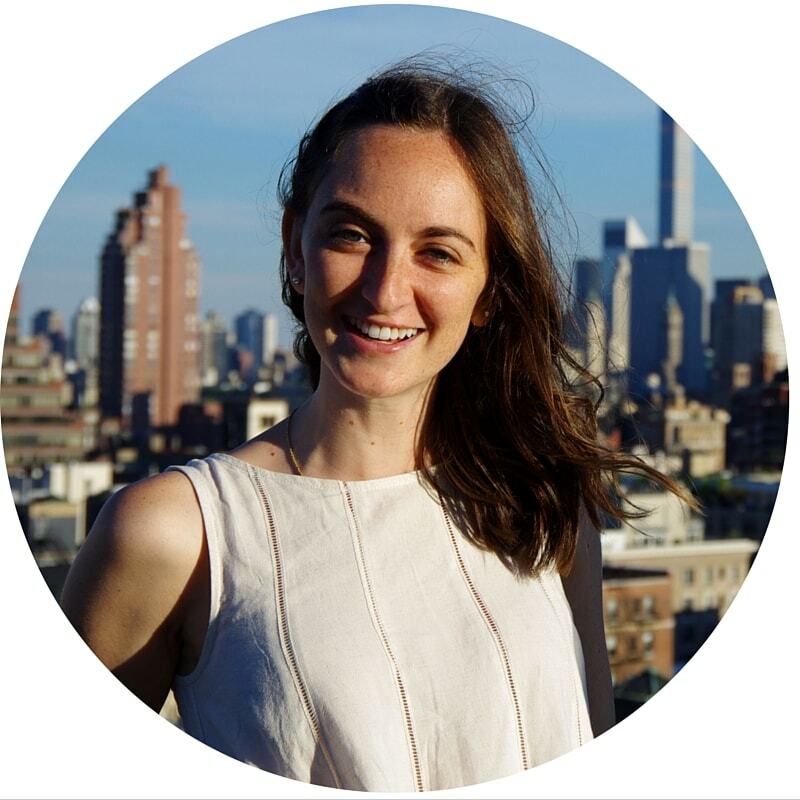 How can I go about securing an internship while on exchange at Sydney Uni? There is definitely a way to do this – I know one of my friends on exchange from Tulane had an internship as a neurologist’s office or something like that – however I chose not go to this path. Definitely a question for your contact at Sydney Uni. What are classes like? What is the workload like? I ended up taking two classes for major credit and two electives for a total of what we would call 12 credit hours in the States. I took Organismal Biology, Development Psychology, Ceramics, and African American Music History. I found the Australian university system to be pretty frustrating. My grade for each class was derived from maybe one paper and two tests – there wasn’t a lot of room to improve over the course of the semester. Even though each assignment/assessment was weighted heavily, the opportunity to succeed or stand out was limited by the fact that getting the highest grade possible (a “high distinction”) was nearly impossible. Why try when you can’t succeed? Furthermore, I felt there was a campus-wide lack of enthusiasm for learning. Many of my lecturers would either bore students to tears or dump a completely unreasonable amount of information on us, which we would discuss only once and be expected to know for the final exam six weeks later. The most frustrating thing was that everything closed at 6pm, including the library. Where in the world was I supposed to go to study?? 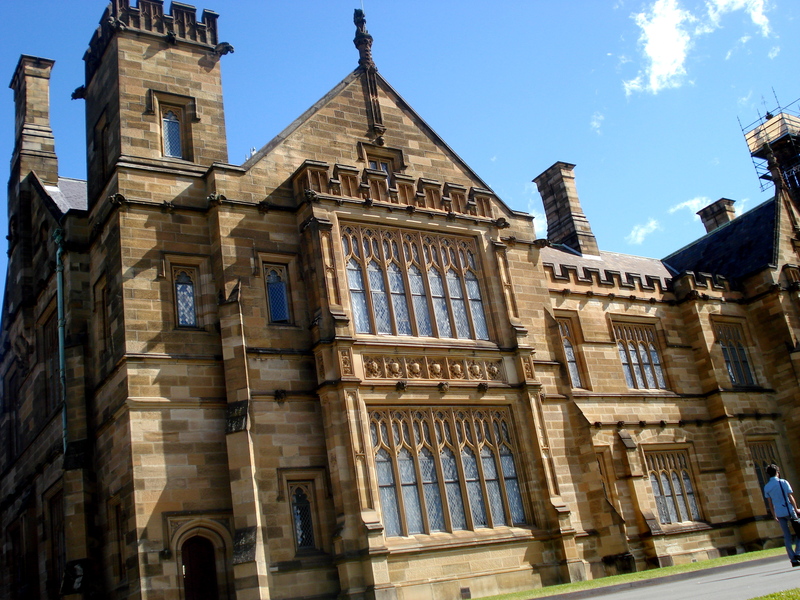 One of the buildings on Sydney University’s campus. Campus was very beautiful but often very empty as well since students would commute to and from home. Of course, none of this really mattered. I only needed to pass my classes since they would be transferred over as pass/fail credit (no letter grade) so I guess you could say I put in the minimal amount of effort in my less exciting courses. Let’s just say I didn’t go to class very often. I worked really hard in my ceramics class though and it paid off! In sum, the workload is generally less than American college but assignments/assessment carry more weight. Classes can be interesting however they can also be really boring and it often seems there is less of an emphasis on actually learning the material than I found at UGA. How did you make friends? Was it easy to make friends with Australians? My first friends were my roommates from the hostel I stayed in for two weeks before finding permanent accommodation. There are so many foreigners in Sydney and they are all in the same boat so it really isn’t a problem meeting people. I met people in backpacker bars and even in the McDonald’s I used to frequent for their free Internet. There are a lot of opportunities to meet your fellow exchange students, beginning with orientation and the exchange party they throw in your first week at the on-campus bar. I will admit it was difficult to make friends with the Australian Sydney Uni students, partly because it’s not like American college with the pre-packaged social life – everyone still lives with their parents and commutes to uni – and partly because I barely went to class. 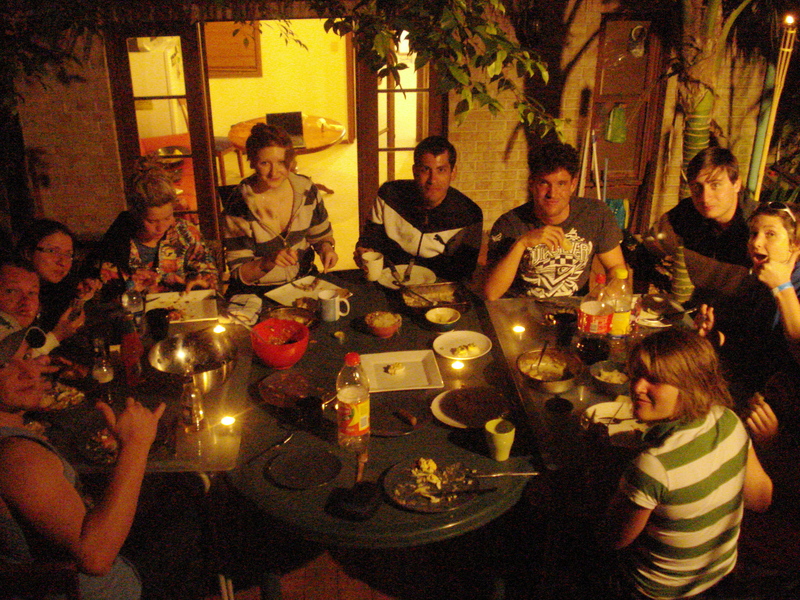 I was lucky to find my own group of Australian friends through a friend of a friend type situation. Essentially, a distant family member suggested I contact her friend in Sydney who she knew from her formative years in New York City. She happened to have a son my age. 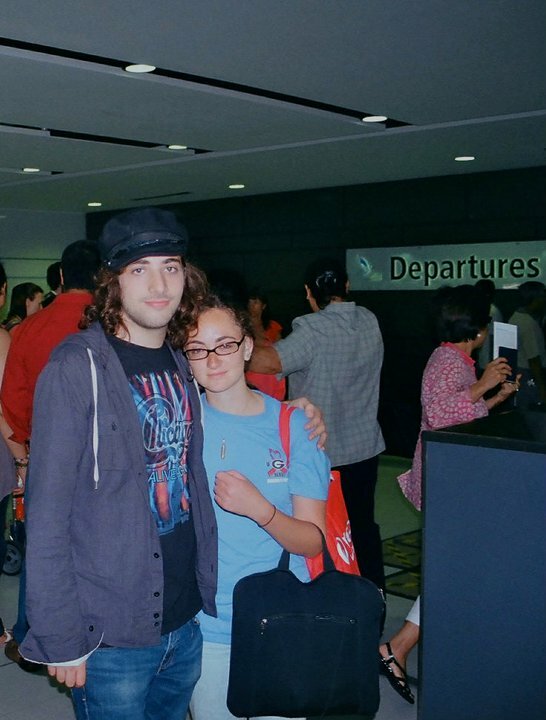 He and I remained extremely close friends six years and counting after the exchange. For this reason, I highly recommend telling everyone you know you’re going to Sydney. Chances are they will have some connection for you and you too can make an Aussie friend who will show you the places only natives know about. Was it difficult to get a job? I learned very quickly that Sydney is an extraordinarily expensive place to live. I worked two short, albeit very lucrative positions, as a server in a cafe and as a babysitter for a family down the road. Even though Sydney is more expensive than most cities, the minimum wage is about $20/hr. With a student visa, you will be able to work 20 hours a week max. Getting a job isn’t easy but it is easy compared to getting one in America. The problem is that you have to find a place willing to train you even though you will only be there for a few months. Or you could lie about how long you will be there, that works too. I walked up and down one street (Glebe Point Road) and gave my resume to every café on the street, and that’s how I got my job. You would be in extra high demand if you have coffee-making or bartending skills or something like that. But you can lie about that too. To get my babysitting job, I used gumtree.com.au. Where did you travel/wish you had traveled outside of Sydney? I went to Brisbane, Cairns, Melbourne, and both islands of New Zealand. I didn’t love Brisbane. I wish I could have gone to Uluru to see Ayer’s Rock. I wish I could have gone to Bali or Fiji but NZ was my splurge – plane tickets are expensive. I had time to travel during “mid semester break” and after final exams. A lot of people went away for long weekends but I only did this once, to see Melbourne. Sydney is fascinating place to explore all on its own, no travel necessary! Seriously, I spent so much time walking the streets of Sydney or going out on a mission to accomplish something from my Lonely Planet guidebook. What was public transportation like? Sydney has an extensive railway system based out of Central station, a twenty minute walk from Sydney Uni. I used the train often to get to the eastern suburbs. They also have a great bus system which came in handy whenever I wanted to go to Circular Quay (Opera house!) or to and from the grocery store with all of my heavy bags. I got a special discount on public transportation tickets as an exchange student however the student concession transportation passes may no longer be available to exchange students. Check the NSW transportation website for details. Honestly, when the weather was nice and I had time, I would usually just walk. Even at night, I always felt safe walking. Sydney is a very safe city. That’s it for now but do let me know if you have any questions as you prepare for your Sydney Uni exchange experience!